Assistant Professor of Management Samir Nurmohamed talks about the conversation that led him to become a business professor and how he brings both research and rap into the classroom. It was a winding path to Wharton for Samir Nurmohamed. He was a freshman navigating frigid winters and early-morning classes at the University of Western Ontario when he had a life-changing conversation with a professor. Nurmohamed stumbled into class 20 minutes late that day and after being cold called, he responded incorrectly to a question asked by the professor. Wanting to offset that negative impression, Nurmohamed approached his professor after class and was invited for a Tim Hortons coffee with him. During their one-hour conversation, he was impressed by how interesting his professor’s career was. Nurmohamed began to consider teaching himself. “That’s when I started thinking, ‘Huh, this man’s career seems pretty cool and he sounds very passionate about what he does,’” Nurmohamed said. He went on to receive a B.A. in Economics and Philosophy from the University of Western Ontario. While parsing through graduate school websites, he learned about organizational behavior. He realized that the topic lay at the intersection of many of his academic interests, including economics, philosophy, and social psychology. Nurmohamed was inspired by the prospect of studying so many subject areas. He decided to earn a PhD in Management and Organizations from the University of Michigan. 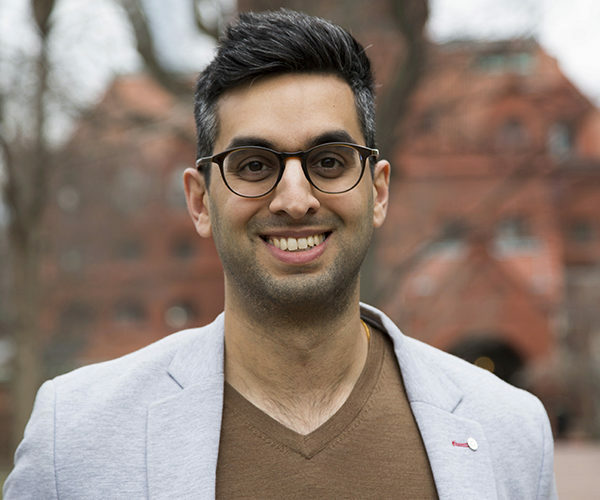 Before coming to Wharton, Nurmohamed taught the undergraduate core course in Organizational Behavior at the University of Michigan’s Ross School of Business. At Wharton, he is an Assistant Professor of Management. He also conducts influential research on overcoming adversity and low expectations in the workplace. In teaching his course on Power and Politics in Organizations, Nurmohamed loves having the opportunity to blend Machiavelli and chimpanzee hierarchies with empirical research on navigating politics in organizations all in one course. At Wharton, Nurmohamed integrates his research into his teaching while satisfying his students’ interest in understanding the root cause of why things happen. As a relatively younger professor, Nurmohamed is known for rapping concepts to students and tying course themes to pop culture trends. He has learned to embrace these trends in the classroom, leveraging his love of Kanye and Drake into helpful cross-disciplinary connections. “I love bringing in some of those examples to allow students to apply concepts to topics they care about, as well as hopefully remember the material beyond the classroom and their time at Wharton,” he said. The best advice Nurmohamed received during his education is that there are many different ways to find and create meaning. He cites a person who told him in his undergrad, “find what you’re passionate about and try to make that your career.” The quote has resonated with him throughout his academic career. But Nurmohamed has also found that there are other sources of motivation for him too, like the prosocial motivation to benefit others and a family motivation. “I think it’s important that people think about how they can cultivate their motivation at the workplace, especially when they find that their day-to-day job is not delivering what they had envisioned,” he said.